I believe the body has the ability to heal itself. All the answers lie within us. Our body remembers everything and is wise beyond measure. We must listen as it whispers to us, so we can give it what it needs to create and maintain good physical and emotional health. Hilary D. Bilkis, LMT, MS, CST is a Gifted Healer and Intuitive. 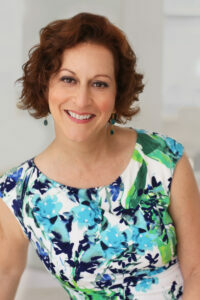 She is the owner of Awakening Wellness, a light touch, hands on healing practice located in Morristown, NJ. She works with you in a way that is gentle, compassionate and supportive. Hilary combines light touch therapies with energy healing, emotional release work and spiritual guidance, customizing each session to her client’s individual needs. Together we peel away the layers of stress, physical injury, and stored emotions, so you can release your pain, have more freedom of movement, feel calmer, clearer, centered, grounded and experience revitalized health, and more joy! She has been in private practice since 2000. Her training includes a variety of healing therapies including CranioSacral Therapy, Visceral Mobilization, SomatoEmotional Release and Energy work. She received her degree in massage in 1997 from The Swedish Institute of Massage Therapy in New York City. Hilary was trained in CranioSacral Therapy and SomatoEmotional Release through The Upledger Institute and has been a teaching assistant for their basic level class. She has been trained in Visceral Mobilization through The Barral Institute. She is licensed in New Jersey and New York. Hilary maintains a membership in the American Massage Therapy Association (AMTA) and is a member of IAHP (International Alliance of Health Care Providers). Prior to becoming a massage therapist, Hilary received a Bachelors Degree at SUNY Albany in 1990 and in 1994 earned a Masters Degree in Education at Queens College in New York. She discovered that through various forms of body work and energy work, she could help and teach people, on a personal and rewarding level.